Sam Talbot is a chef, author, philanthropist and television personality based in Brooklyn, NY. Talbot is the founding Executive Chef of The Surf Lodge in Montauk, NY. He was a semi-finalist on season 2 of Bravo’s Top Chef - was voted “fan favorite”. Diagnosed at a young age with Type 1 Diabetes, Sam lives every hour with a deep understanding of the impact of food on life and life on food. In 2015, Sam launched several exciting ventures that are close to his heart. From his new foundation BEYOND TYPE 1, a non-profit organization focusing on inspiring the Diabetic community, Sam looks forward to expanding his portfolio and exploring new territory while remaining true to his culinary roots. In April 2017 Sam released his 2nd Cookbook titled 100 Percent Real with Time Inc Books. He is working on his 3rd book, a TV show and some exciting new restaurant concepts. 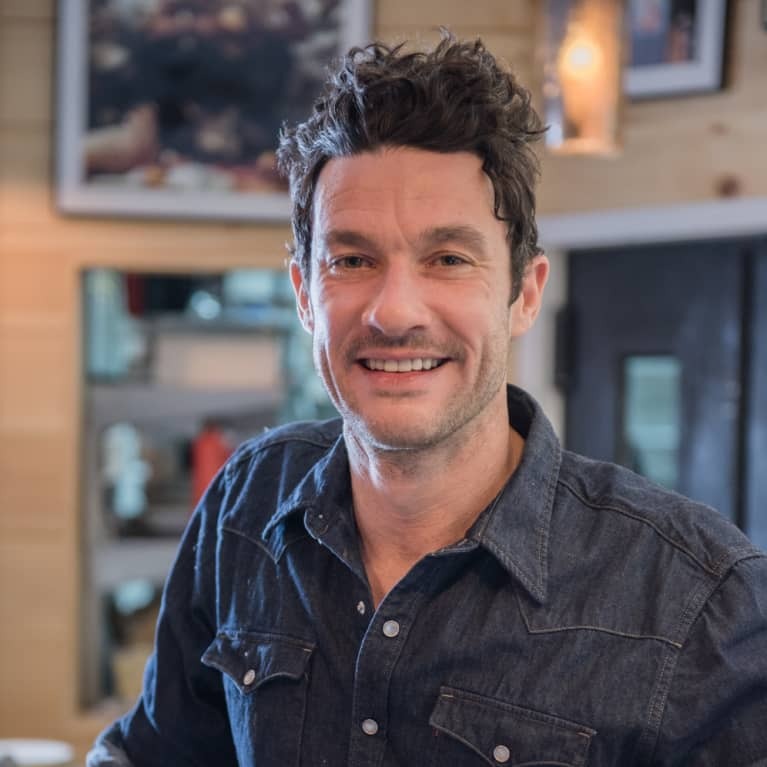 He will be opening Morty's Oyster stand Summer 2019 as well!